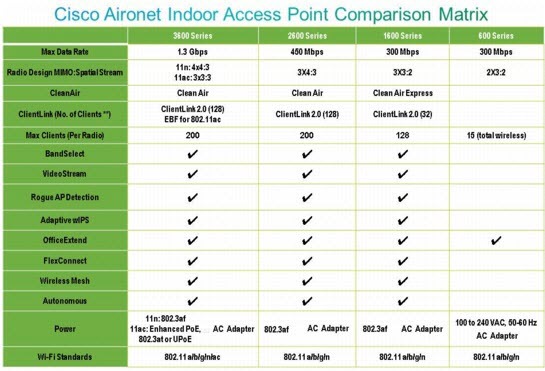 The Cisco Aironet 1600 Series Access Point (AP1600) is a second generation, entry-level AP. It offers small and midsized enterprises great performance, functionality, and reliability at a competitive price. The 802.11n-based Aironet 1600 Series offers small and midsized enterprises an entry-level access point with advanced features. The Cisco Aironet 1600 Series is a component of the Cisco Unified Wireless Network, which can scale to up to 18,000 access points with full Layer 3 mobility across central or remote locations on the enterprise campus, in branch offices, and at remote sites. Note: The Cisco Unified Wireless Network is the industry’s most flexible, resilient, and scalable architecture delivering secure access to mobility services and applications, and offering the lowest total cost of ownership and investment protection by integrating seamlessly with the existing wired network. With the Aironet 1600 Series, customers can modernize their network to handle today’s explosion of more clients, applications, and bandwidth demands. Cisco CleanAir Express technology is enabled on the advanced silicon design of the AP 1600. With CleanAir Express, the AP 1600 has the ability to effectively detect RF interference, identify the source, locate it on a map, and make automatic adjustments to optimize wireless coverage. 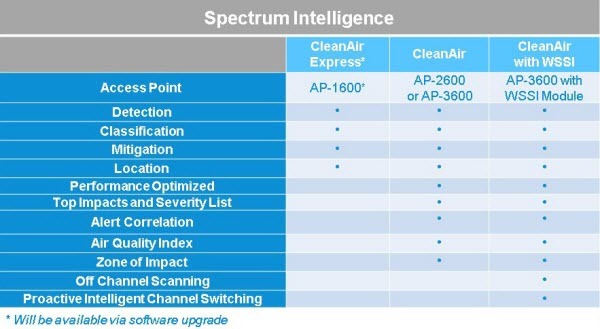 With CleanAir Express technology, organizations have a basic spectrum analysis capability to support their wireless networks while simplifying ongoing operations. If you need to purchase Cisco Aironet 1600 Series AP, including theAIR-CAP1602E-C-K9, AIR-CAP1602I-C-K9, AIR-SAP1602E-C-K9, AIR-SAP1602I-C-K9, you can go to router-switch.com to enjoy 55%-98% off GPL and free CCIE Support, fast shipping worldwide. Router-switch.com, a trusted and the world’s leading Cisco supplier, founded in 2002, provides full series of Cisco network equipment, including Cisco routers, Cisco switches, Cisco firewalls, Cisco IP Phones, Wireless Access Points, Cisco modules & cards, etc.